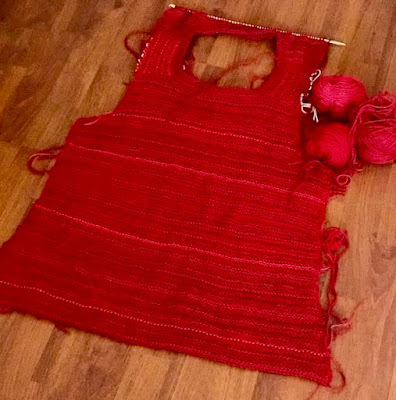 How to become a Professional Knitter - Robin Hunter Designs: What's on my needles? My wrist continues to improve daily and I'm treating knitting like exercise. After discovering that straight needles and a loose gauge with no stitch pattern seems to be working best, I went back to a stash buster project. After doing several shawls I wanted to give use the same rules and see how a garment might work out with multiple yarns in a loose gauge. 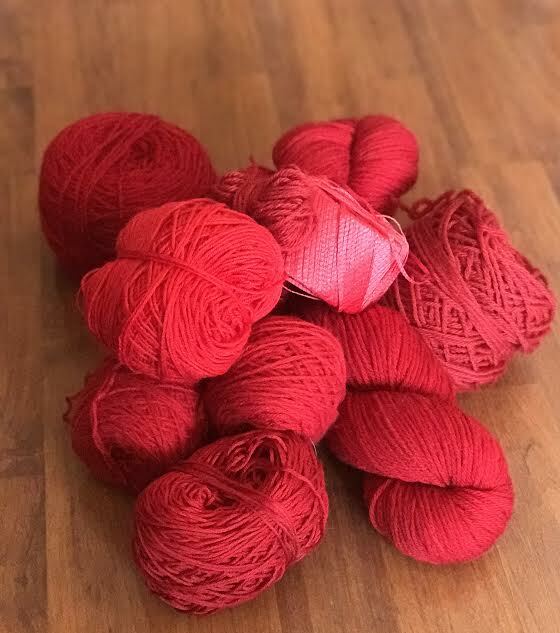 Here's the mix, yarns all in shades of red with weights from lace to worsted. There's a mix of fibres as well. My swatch seemed happy after blocking. There's a fair bit of wool in worsted weight giving the overall fabric stability. 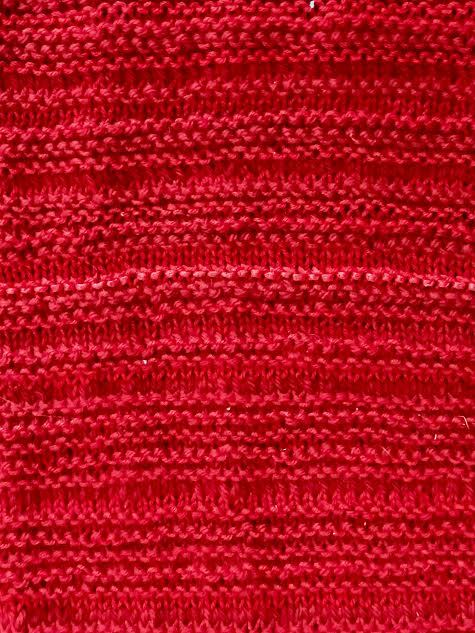 I'm using a 4.5 mm needle, here's the fabric. 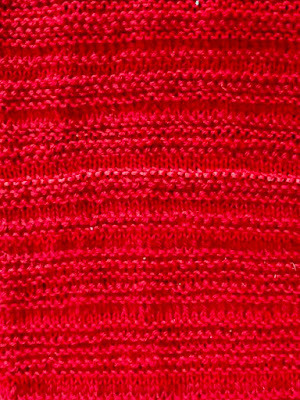 It's mainly rows of knit with some wrong side purl rows to give it more texture. I'm working top down from shoulder saddles so I can see what hanging gauge will do to the fabric in full size. I hung the back over my mannequin for 48 hours before I did the cast off. 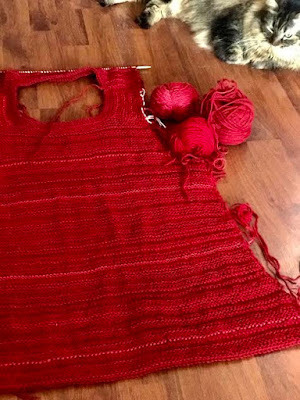 After 24 hours I realized I needed to add the neckband for stability and to get a more accurate understanding of the length. I did that on a 3.75 circular needle which my wrist did not like. I'm aiming for a tunic style so if the length continues to grow I can live with it. I'm working the pieces flat for another reason as well, the seams will help stabilize the body of the garment. Progress is slow, so I'll let you know in the future how this experiment works out. The shawls I've done this way drape beautifully and this looks pretty good on the mannequin even without any blocking. Labels: # knitting blogs, What's on my needles?